Jana is a longtime area resident currently residing in Haslett. Jana loves spending time with her family and blessed to be called "Nana" to 4 beautiful grandchildren. Jana can't forget about the 2 kitties in our family. She has been a licensed Realtor for over twenty years and her experience and market knowledge benefit all her clients. 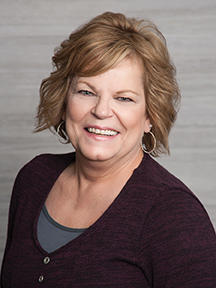 Jana studied business courses at Lansing Community College, is a Certified Residential Specialist, and is Platinum level - Quality Service Certified®. Jana is known for the” personal attention” and "vibrant personality" given to each of her clients. She knows that every client’s needs and wants are different and she concentrates at the beginning of each relationship to identify those and to craft a service experience that exceeds their expectations. In her role as the client’s trusted advisor she advocates for them during negotiations and handles all the details of the transaction from contract to closing. "I have both sold and purchased numerous real estate properties over the last 20 years, all with the assistance of Jana Grove. All of these transactions and closings went very smoothly thanks to Jana's expertise. Her commitment to her clients, attention to detail and professionalism are beyond reproach. I would highly recommend her to anyone considering buying or selling in mid-michigan. " First Time home buyers - "Jana was wonderful. She went above and beyond the call of duty to assist us. I would recommend Jana to anyone." Haslett, Okemos, Williamston, East Lansing, Laingsburg, Bath, Perry, Mason, Holt, Dimondale, Grand Ledge, Eaton Rapids, Dewitt, St. Johns, Potterville, Portland, Lansing, Lake George.